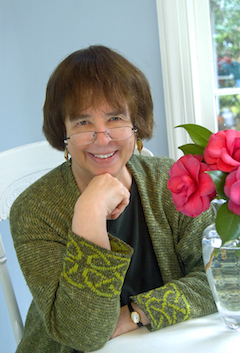 I once had the pleasure of meeting Jane Yolen, a woman wonderfully gracious—kind and courteous and charming when there was neither need nor reason to be so—to the nervous unknown poet stammering in front of her. She would not remember me, but—obviously—I will never forget her. Her dozens—scores? Hundreds, I'd suppose—of poems include award winners of various species—Rhysling, Dwarf Stars and Asimov's Readers'. If that's the hat trick for speculative poetry, then she's our Mad Hatter (the charming kind). She is well-known in the pages of Star*Line, and her support—artistically, financially and personally—for the SFPA has long been appreciated (if—ahem—underacknowledged). Hers has long been a voice loud in support of new writers, the unknowns overlooked by publishers touting the celebrities in their stables and ignoring the new blood that just needs a nod. Jane Yolen's body of work touches us all somewhere, somehow, sometime—works for children, for adolescents (and arrested adolescents, or delayed adolescents—whichever category I fall into), and for adults, whatever they are. Really, Grand Mastership (Masterhood? Masterness!) is a small honor to bring to her, given what she has done for the genre and the form, given who she is as a person—given what she truly deserves. 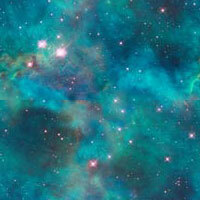 BUT—within our world—it's the single thing we have that we set before her, to say thanks and wow! Steven Mooser, president and cofounder of the Society of Children's Book Writers and Illustrators (SCBWI), is a family friend. We were together at—dinner? a picnic? whatever—and the subject of Rhysling Awards came up. He'd never heard of them. When I mentioned Jane Yolen's nomination that year, he suddenly seemed to take a bit more interest. "You know," he told me, "she's really the whole package." And there's one thing you need to know about Steve—he's always right. Born February 11, 1939—a decade before, the stock market crash launched the Great Depression that created the world of her youth. There is in fact something ominous here, I suppose—something that may have marked her life in ways that only now we begin to understand anew. Titles? Poems, books, lists and lists and lists? Oh, please—go to Locus—Google her up—if you can't find something that has touched your life as a fan or as child or as a spouse or a pirate or a mouse or a dragon or ... well, if there is nothing here at all to touch your life, then perhaps you have not really lived. For hers has been a life with touch points for us all, and her voice speaks where ours would fail, and her body of work runs from the most gossamer whimsy to the hardest parts of her own very real life, The Radiation Sonnets, that walk us through something too many know and and cannot express, a path through heart-wrenching darkness ... her husband David Stemple was taken by cancer in 2006. Hers is every voice on a good day—even when that day brings Nemesis. Yet despite loss, her heart stays large—in 2008, she was the Winterthur Museum's honorary Ambassador for Literacy, reaching out to children in support not just of reading, but of all ways to celebrate the word. first place in the 2007 Dwarf Stars Award. Second place, too! the World Fantasy Award for Life Achievement. ... and probably others since the last update to her Wikipedia article. The SFPA Grandmaster list was kind of a good old boys' club. And make no mistake—good old boys they are! But if there is any woman worthy of becoming the first of her gender on that list—Jane Yolen is that woman; if there is any human being worthy of any honor you might care to name—Jane is that human. And if there is a poet like no other—this, then, is Jane.